The leader in the 3 and 4 star hotels segment in Geneva, The Manotel Group operates six hotels comprising 610 rooms out of a total 9,500 rooms available. The Royal, N’vY, Auteuil, Kipling, Jade and Edelweiss hotels each possess their own unique atmosphere, each quite different from the last, but they also maintain certain key features. Located on the right bank, between Lake Léman and the International Organisations’ district, the six hotels are grouped together in such a way that they can benefit from their close proximity to one another. Close to both the main railway station Cornavin and The Geneva International Conference Centre and just a few minutes from the airport, The Manotel Group hotels are popular with a wide range of clientele, all of whom demand excellent service in an easily accessible, central location. The Manotel Group invested more than 100 million Swiss francs between 2000 and 2012. Each hotel in the group has been totally renovated to provide not only an irrefutably high level of quality but also to showcase original and carefully conceived design. This means that each hotel has its own unique identity: “Tradition on the move” for The Royal, “Design and Hospitality” for The Auteuil, “Arty, Cosy, Trendy” for N’vY, “Invitation to Travel” for The Kipling, “Feng Shui Harmony” for The Jade and “Mountains in the City” for The Edelweiss. The Manotel Group also operates restaurants and bars. 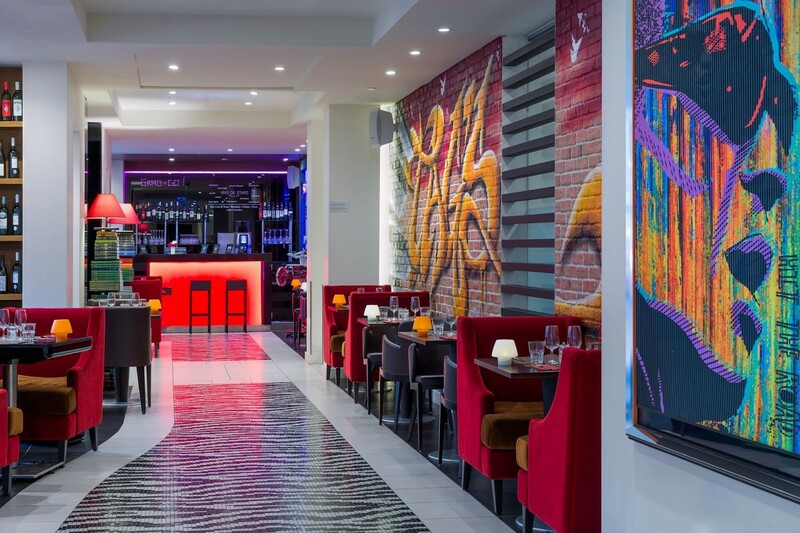 Developed with the same attention to detail, these three culinary establishments are open both to patrons of the hotel and the Geneva public. Dynamism, reliability, friendliness and creativity: The Manotel Group has an active business culture, illustrated in particular by its historical partnership with ALINGHI, twice winner of the America’s Cup. Since 2001, the hotel group has actively supported the Swiss team.